Open source is everywhere—from the bottom of the programming stack to the top. OSCON brings the software engineering and developer community together to explore what's new and useful in open source languages, tools, and techniques. It's the best place to sharpen your skills and discover important trends, making you better at what you do and igniting your love of code. Great presentation especially for those who want to grow in the area of architecure. 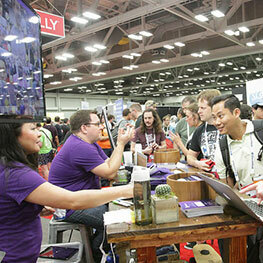 The original (also the biggest, baddest & broadest) open source gathering comes to Austin. Put open source to work for your business. Learn which models are right for your business, how licensing works, and how to solve some of your biggest challenges using open source tools and technologies. Learn face-to-face from the best. Speakers include seasoned pros as well as notable newcomers; what sets them apart is their passion for the technology and willingness to share their expertise. 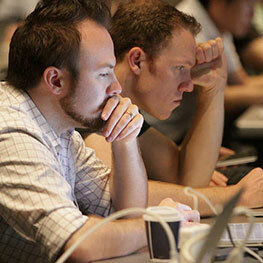 Stay on the forefront of software development. Hear about the latest open source projects, tools, and technologies. Explore new methods and techniques and learn how to apply them to your day-to-day work. Expand your skills with in-depth training. In addition to conference sessions, you can add two days of highly focused professional training covering critical topics. Make valuable connections. Between sessions you'll find yourself sharing thoughts, trading war stories, and striking up conversations with others. 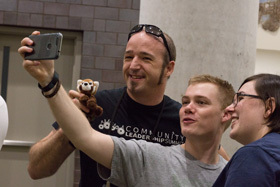 OSCON's hallways have been the birthplace of many ideas and collaborations. Have a little fun. Attend some of OSCON's many extracurricular events, and be sure to explore the vibrant city of Austin, known for its history, iconic food, lively music scene, and bats! OSCON takes place May 8-11, 2017 at the Austin Convention Center in Austin, Texas. Take a look at the schedule and start making your plans today. Need help convincing your manager? We've got you covered.